Race like the pros with the Nathan VaporZach 2.5L Race Vest. Designed by ultra runner Zach Miller, the VaporZach has all the features that a runner needs on race day. 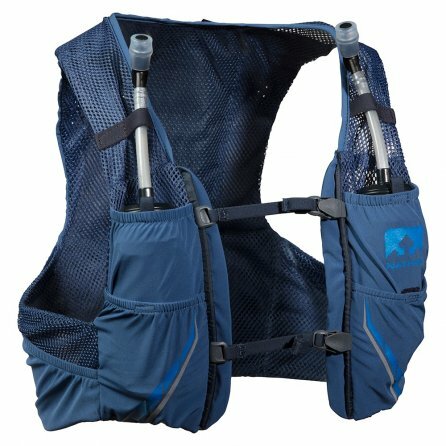 The vest comes with two 12oz ExoShot flasks with extended sip straw tubes for easy access to water without any hindrance on your stride. The form-fitting vest also comes with plenty of storage space, including an upper back pocket and front storage spaces, for extra bottles of water and gels to keep your tank full. A sternum strap keeps the vest in place and offers more room for adjustments and personalization. Overall I really like the product. It is very comfortable and made well. I just wish it carried more ounces.